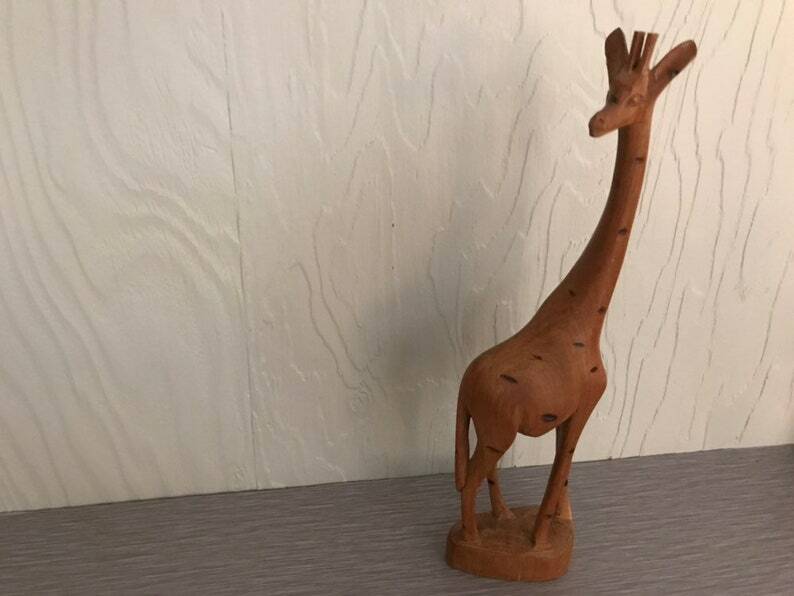 Gorgeous vintage teak giraffe statue. Likely made in the 60s or 70s. Would be a perfect addition to a mid century modern decor-- whether in the living room mantel or a child's bedroom or nursery! Giraffe is 12" tall and base is 3" wide. Centura by Corning Vintage Bowl Lynwood Green Cereal or Salad Bowl 5.5"